Why am I getting so much ash? Horse bedding is used in stalls to absorb urine and moisture, and is a necessary part of properly maintaining clean stalls. Ideal bedding material makes cleaning up messes easy, is easy to store, and is the least wasteful. Straw and wood shavings are commonly used, but using softwood wood pellets as horse bedding is becoming popular among experienced horse and stable owners. 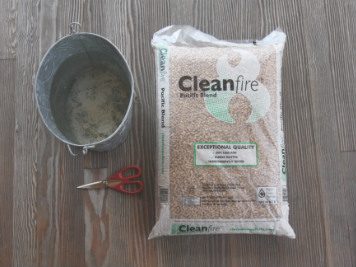 Did you ever see our post on how to reuse empty wood pellet bags? Well here’s a brand new DIY project, just in time for the kids being home all week for Spring break. It’s also just in time for warmer weather coming our way! This post will show you the simple steps on how to make a kite out of an empty wood pellet bag. The entire project, not including decorating the kite, should take less than thirty minutes. Be sure that any kid helpers are always supervised by an adult, because this DIY involves plastic bags and scissors. Wood Pellets Can Bake a Pizza in 90 Seconds? You probably know all the wonderful aspects of burning wood pellets for heat. However, did you know that you can grill, smoke and bake your food with a special wood pellet appliance? Wood pellet grills were first introduced over 20 years ago by Traeger Pellet Grills, and several companies have generated their own versions since. When it comes to BBQing, people are usually pretty particular about their methods. In the last few years, wood pellet grills have been gaining a very loyal following due to quick heat-up time, evenly dispersed heat, and a distinctive smoky flavor addition. You do need an electricity source to plug it in – but no need for lighters, gas or any fluids. Has There Ever Been A Better Time To Buy Wood Pellets? Spring is generally a pretty good time to purchase your pellet fuel, as many suppliers offer ‘early buy’ sales and promotions. But with the convergence of a few significant influences that we’ve explained below, this spring may offer wood pellet consumers the best buying opportunity in many years. 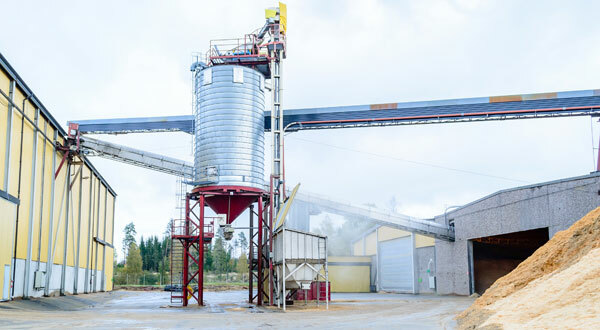 strong demand for wood pellets. For the last couple of winters, the supply of pellets has just barely kept up with the demand from consumers. Who could forget the pellet shortages in the winter of 2014? Manufacturers ramped up production, and prepared for another harsh winter by building up a giant inventory position.